With the recent high-profile announcement of construction company Arrow International being placed into voluntary administration (VA), discussion around this legislation has become increasingly topical. In Arrow’s case, it’s been reported that Arrow had a large adjudication award made against them, which was the tipping point for administration. This was presumably because the directors became concerned about Arrow’s ability to pay that award by the due date (usually within five working days) and more generally meet debts as they fall due. In this instance, VA is a sensible option if cashflow pressures mean that it is unable to pay that interim adjudication award pending a more comprehensive dispute process to determine liability. While critics have suggested that such laws are largely in place to protect those at the top, James Nolen, director at K3 Legal, feels there’s much more to it than that. “When used correctly, VA can be a viable means for companies to extract themselves from serious trouble and rebuild into a viable and solvent entity,” says Nolen. Why do companies use VA? First and foremost, the purpose of VA legislation is to allow a company the opportunity to restructure its debts, says Nolen. From this position, the company will hopefully be able to trade out of its financial difficulties. This administrator will usually be an experienced insolvent practitioner, who will take control of the company. Importantly, this means that it’s not simply a return to business as usual. The directors remain in office but their powers are suspended, says Nolen. The administrator will help assess whether there is an opportunity for all or part of the business to continue. If it cannot, they will propose a plan to realise the assets of the business in a manner that would be more beneficial to all stake holders than an immediate liquidation. There are a variety of advantages; creditors get greater transparency about the financial state of the company and are presented with alternatives to liquidation. Additionally, it may allow for the profitable portions of the business to continue, while the dead weight can be cut loose. In the construction context, this is particularly useful if projects are nearing completion. 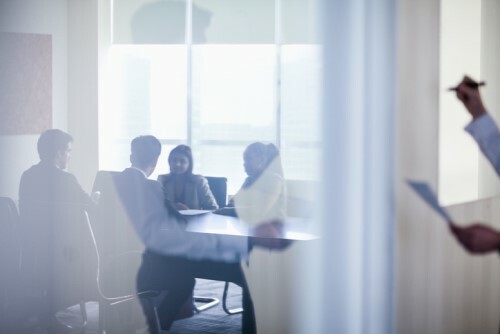 From a director’s perspective, they may be protected from future personal liability – including for reckless trading claims like the ones recently awarded against the Mainzeal directors. Why don’t more businesses use VA? Although cases such as Arrow have brought it to wider prominence, VA is not widely utilised in New Zealand. It’s proven much more popular across the pond in Australia, despite the legislation in both countries being very similar, notes Nolen. “The trend in New Zealand has been for secured creditors to appoint receivers, or for unsecured creditors to apply to the court for a liquidator to be appointed to a debtor company,” says Nolen. There is a perception in New Zealand that VA’s are less likely to produce a successful outcome because the treatment of the Inland Revenue’s debt is different in Australia. He also speculates that many companies simply aren’t seeking the right advice when times are tough. “After all, when you’re trying to pay creditors, it’s easy to view money spent on legal advice or an insolvency practitioner as a lower priority,” Nolen says. Nolen notes that he too often sees businesses approaching him for advice far too late in the process. Accordingly, Nolen is a staunch advocate of educating creditors and business owners alike about the benefits of VA.
“With better information about VA out there in the public eye, we’ll hopefully see more companies entering VA, rather than simply liquidating,” says Nolen. “It’s a longer-term solution, but it’s one that can better serve the needs of the business and creditors alike.